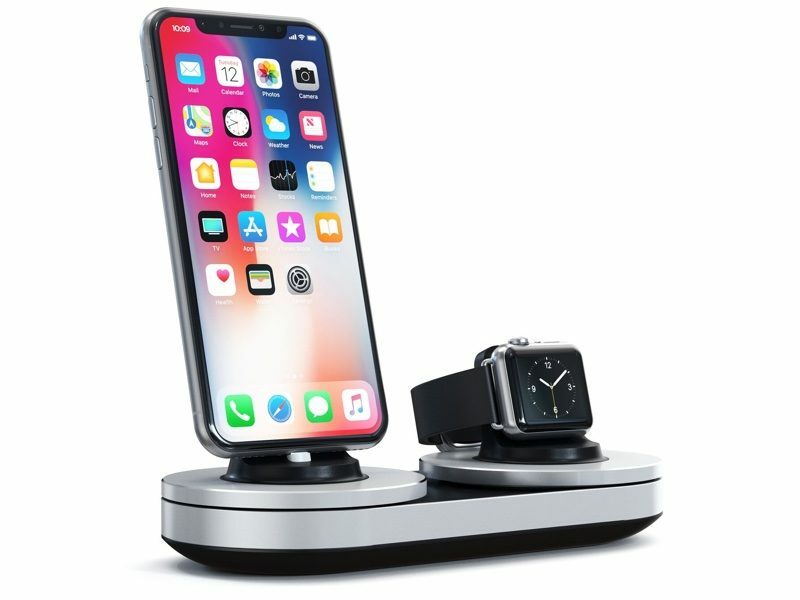 At this year's Consumer Electronics Show, Satechi is launching a new Smart Dual Charging Station designed to charge both the iPhone and the Apple Watch at once. Made from silver or space gray aluminum, the Charging Station features two separate docks -- one that accommodates a Lightning cable to charge the iPhone and a second one that houses an Apple Watch charging puck to charge an Apple Watch. Unlike some docks on the market, Satchi's option does not come with built-in cords, so you will need to supply your own cables. 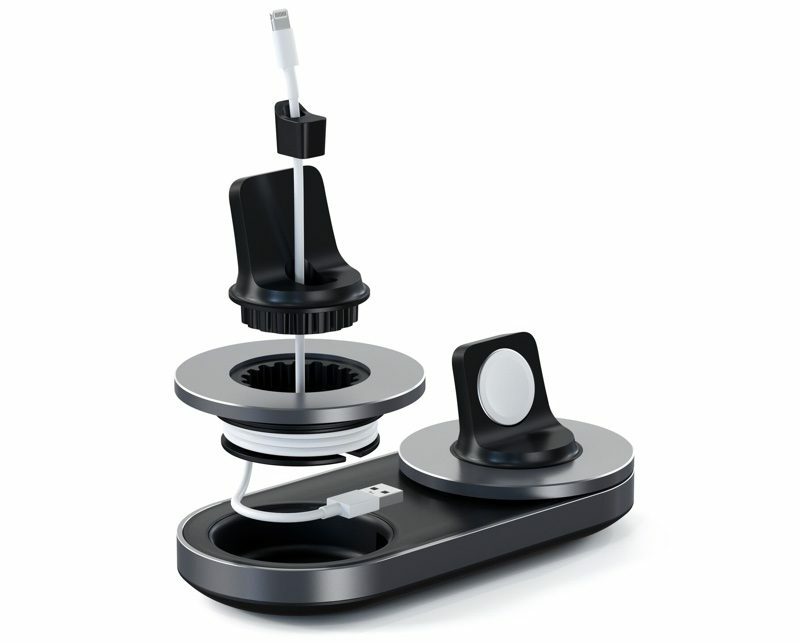 Cables are designed to wrap around the base of the Charging Station inserts to hide any excess. Satechi says that its dock distributes a total of 15W of power, providing fast yet safe charging capabilities. Satechi's Smart Dual Charging Stand will be available for $64.99 starting in the spring of 2018. How is it smart if you need to supply your own cable, lol. It’s just a $65 iPhone dock with hole-punched piece of plastic to hold your Apple Watch. Hard pass. I don't like stands like this with the iPhone standing vertically mounted, because if it was hit, it has the potential breakage of the lightning port area and or aftermath of the Fall. I prefer my iPhone to lay on a flat surface, similarly to what the AirPower or other charging units will offer. Agree, but oddly we’ve seen stands like this for many years. Seems silly to put so much pressure on the port and cable. Also seems like a missed opportunity to not offer a Qi version. Have they not heard of wireless charging? Particularly as they've used an iPhone X. What I'd like to know is, how did anyone manage to charge the phone and the watch at the same time before this product was made available? $65 and it has no cables?! I actually like this design, and I like that the Apple Watch is in nightstand mode... but without any cables I feel like this should be $39.99.